Human, Social, and Political Sciences includes politics and international relations, social anthropology and sociology. You can specialise in one or two of these, but the flexibility of the course also enables exploration of a variety of subjects in the first year. Human, Social, and Political Sciences (HSPS) at Cambridge can be tailored from the start. This means it’s suited both to those with specific subject interests and to those looking for a multidisciplinary degree. Politics and International Relations explores politics within and between countries, covering issues from human rights and democracy, to financial crises and international conflict. Social anthropologists address ‘what it is to be human’ by studying social and cultural diversity – how people live, think and relate to each other around the world. Sociology focuses on the nature of modern societies and the processes that shape social life, by examining social institutions and topics such as power and inequality. Depending on the subject(s) you choose, there may be options to take individual papers in the other HSPS subjects or from other courses as well. 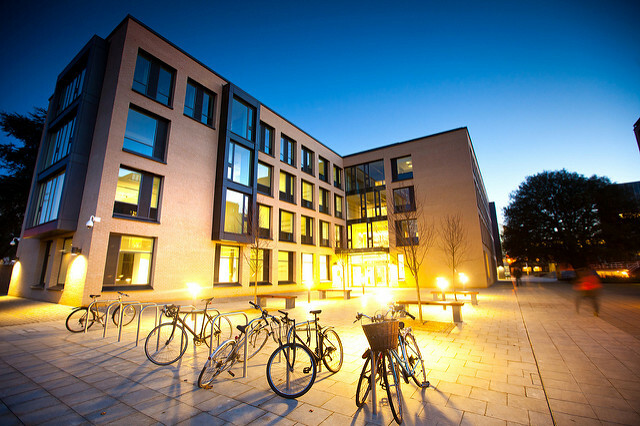 Cambridge offers a world-class undergraduate education, and excellent teachers and learning facilities. The Faculty has two libraries and superb teaching resources including the Museum of Archaeology and Anthropology, computing facilities, multimedia-equipped teaching rooms, and a rare collection of ethnographic films. There are no compulsory additional course costs for HSPS, though please refer to the relevant course information if you wish to take any papers from other degree courses that may incur additional costs. For example, in Year 1, students may be able to take part in an optional ‘Wessex Fieldtrip’ to Stonehenge and other sites – this usually costs approximately £40. Full course details about HSPS are available on the Faculty website and if you have any queries about resources/materials, please contact the Faculty. Subject to Departmental and College approval, it is possible for a student from any Tripos to move to HSPS Part II after successful completion of their first year at Cambridge. It is also possible for a student to transfer as a ‘One Year Part II’ student after successfully completing two years on another course, again subject to Departmental and College approval. HSPS students are able to change to an alternative course after completion of Part I as long as the course in question is willing to take them and they have approval from their College tutors. The analytical and critical skills, intellectual versatility, multicultural sensitivity and international outlook you develop through this course are widely sought after by employers. Recent graduates have pursued careers in research (both academic and policy research), the Civil Service (including the Foreign Office), journalism, management consultancy, museums, conservation and heritage management, national and international NGOs and development agencies, the Law, teaching, publishing, health management, and public relations. Teaching is delivered through lectures, supervisions and seminars. Some subjects also include practical/laboratory classes. In the first year, you have around eight lectures and one or two supervisions a week. You’re assessed at the end of each year – mostly through three-hour written exams, though some papers are assessed by coursework. In Year 3, you can substitute one paper for a 10,000 word dissertation. Please note that it’s not possible to change track between Years 2 and 3, unless switching from a two-subject track to one of the subjects within it. Some final year papers require you to have taken a relevant Year 2 paper. Politics and International Relations engages with the nature of the political world within countries and between them. It asks questions about how and why national and international politics have developed as they have, and how people have imagined that they might be changed. It explores issues from human rights and democracy, to financial crises and international conflict. You take Comparative Politics, International Organisation, and History of Political Thought. Your fourth paper can be two 5,000-word essays on politics and international relations; a statistics paper; or one offered in another HSPS subject or from others such as History or Psychology (please see the website for the full range). You take a general paper in politics and international relations, plus three optional papers. One of these can be a 10,000 word dissertation, and one can be from selected papers in another subject. You can choose from a broad range of papers in politics and international relations, covering diverse themes, regions and contemporary issues. Anthropologists address ‘what it is to be human’ by doing in-depth participatory studies (fieldwork) on the amazingly varied ways people live, think and relate to each other in every part of the modern world: from love and intimacy in online worlds, to how Amazonian communities respond to deforestation; how globalisation affects factory workers in India, to experiences of citizenship and democracy in African cities. You take The Foundations of Social Life, Anthropological Theory and Methods papers and a paper on the anthropology of an ethnographic area. Your fourth is an optional paper. You take two advanced anthropology papers - Ethical Life and The Anthropology of the Subject; and Power, Economy and Social Transformation - and choose a further two from a combination of optional papers, an ethnographic area paper and a 10,000 word dissertation. Optional paper topics in Years 2 and 3 usually include urban anthropology, gender, development, science and society, media and visual culture, as well as choices from related subjects such as Politics and Sociology. Sociology focuses on the nature of modern societies, how they’re organised and how they’re changing. It examines social institutions and the changing forms of power and inequality among other topics, and develops theories and conducts empirical research in order to deepen our understanding of the processes that shape social life. You take Social Theory, Modern Societies II, and Concepts and Arguments in Sociology or a statistics and research methods paper. Your fourth paper can be a further sociology paper, or one from another HSPS subject, Archaeology, History, History and Philosophy of Science, or Psychological and Behavioural Sciences (PBS). You choose three papers from a range of sociology and social theory topics - these might cover subjects such as media and culture, gender, war and revolution, global capitalism, criminology, race, religion. One paper can be replaced by a 10,000 word dissertation. Your final paper can be another in Sociology, or from another HSPS subject, Archaeology or PBS. For further information about studying Human, Social, and Political Sciences at the University of Cambridge see the Human, Social, and Political Science website. See Human, Social, and Political Sciences: Subject Requirements and Typical Offer by College for College-specific requirements/preferences. All undergraduate admissions decisions are the responsibility of the Cambridge Colleges, so please check College websites for further details. All applicants are required to take the pre-interview written assessment for HSPS at an authorised centre local to them (for a lot of applicants, this will be their school/college). The pre-interview written assessment for HSPS will be taken on 30 October 2019. Please check the Cambridge Assessment Admissions Testing website for scheduled start times. Faculty of Human, Social, and Political Science - Find out more about HSPS on the faculty website. Course Structure - Diagrams showing the structure of the HSPS degree. Course Introduction - An introduction to the HSPS course at Cambridge. Preparatory Reading - Short lists of some important books in the individual subjects on offer in the HSPS degree. Why choose HSPS at Cambridge? - Information about career opportunities available following the HSPS course can be found towards the bottom of the page. Department of Politics and International Studies (POLIS) - Find out more about Politics and International Studies on the department website. Politics and International Relations - An overview of the subject areas of Politics and International Relations that can be studied as part of the HSPS course. Politics and International Relations - subject leaflet - Find out more about studying Politics and International Relations as part of the HSPS course. Department of Archaeology and Anthropology - Find out more about Archaeology and Anthropology on the department website. Social Anthropology - An overview of the subject areas of Social Anthropology that can be studied as part of the HSPS course. Social Anthropology subject options - A detailed overview of the different papers that can be taken as part of Social Anthropology. Social Anthropology - subject leaflet - Find out more about studying Social Anthropology as part of the HSPS course. Department of Sociology - Find out more about Sociology on the department website. Sociology - An overview of the subject areas of Sociology that can be studied as part of the HSPS course. Sociology - subject leaflet - Find out more about studying Sociology as part of the HSPS course.